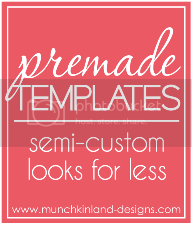 I’ve added 2 new premade templates to my selection. You can check those out here. I really love the colors of both new designs. I will be returning to the Blog of the Week feature next week, so stay tuned to meet some more fun bloggers! I will be posting a schedule of the Twitter and/or Facebook contests later this month so you can know in advance when a contest is going to take place. But for now, I have a “Getting Back in the Groove” giveaway for you! It was pretty popular last spring, and I’m really excited to do it again! It’s a "Win One, Give One” giveaway. Up for grabs is 2 Deluxe Blog Designs. One will be for you and your blog, the second will be yours to do with what you want. Want to host a giveaway of your own? Done. Want to give it to a friend? Done. You get to gift someone else with a blog facelift, while enjoying your new look as well. Sound like fun? Worth playing for? All entries will be through Rafflecopter and include such options as tweeting about the giveaway, posting about it on your Facebook timeline or blog, following me on Twitter, becoming a fan of Munchkin Land Designs on Facebook, subscribing to the blog’s RSS feed, etc. etc. The giveaway will run through next Wednesday, January 16th at midnight (EST). I’ll announce the winner when I do next week’s Blog of the Week. Thanks for stopping by to catch up and I wish you all good luck! I’m looking forward to working with the winner! Redress Boutique and The Doughmestic Housewife are my two favorites. It is so hard to choose just one... seriously I love so much of your work! I love them all and I'd love to win another one! Well mine is my favorite but I also love Life in the Green House! I love Counting Blessings - very cute! Do I have to pick just one becuase I really love them all. I love them all but I really like Anne Says So. I love them all! I would love a blog makeover!! As I have a husband who is not fond of pictures, I LOVE the blog design for Growing, laughing and Loving in life. I really love all of them, but I guess one of my favorites is Crazy Beautiful Love. I love so many of them! My favorites are Perfectly Imperfect Holly, Walking to Skinny, and Life in the Green House. I love Tales of the Trees, Sweet for Certain, and Anne Says So! Ummm I love them all. I can't choose just one! I really like Anne Says so! But my favorite of all time was one you had on your blog that was simple and white. Loved that one the most. I love so many of them! I actually adore your personal blogs new look and running backwards in high heels and neely's too!!!! the art of comfort baking; I like how it's set up; or mommasmeals! 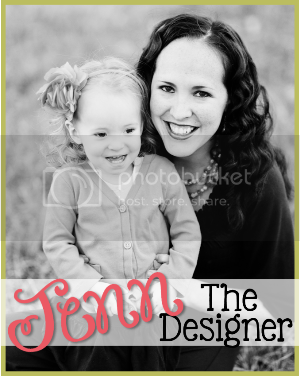 I really love the blog design you did for my friend, My Not so Little Guy and My Little Punkie Pie!! Super cute! Thanks for hosting!! There are so many ones I love, but the most recent one is Anne Says so! I love mine, obv! :) But, I love your work!! It's hard to even pick just one... but I love Life In the Green House. I love The Rest Is Still Unwritten and Life in the Green House! This is hard! Ummm...fell down the rabbit hole...but then again...oh so many! I would love a new look! cute stuff! I like what you did for Our Family of Four. It is so bright and clean looking! I love Life in the Green House! LOVE two men and a mommy! Don't know how to choose ;) I love them all!!! Some of my favs are Tales of the Trees, ILYMTC, and Stafford Stories. I love your work, it is all so warm and has that personal touch to it. ....... Sigh. ;) Jen, you know my favorite would have to be mine! Hehe! You did such an excellent job! Oh no, I entered the wrong twitter name. I changed it and forgot! If I win (I never win anything so it's kind of a shot in the dark), will that affect it? It's Mrs_firewife instead of Samikae : ) and I love Love with a Latte, and Life in the Green House. Opps I commented on the wrong blog post. My favorite would be "Our Family Of Four". Love chevron! I love this! I would give it to my friend Jessica to get her inspired to start her blog! I love what you did with my recipe blog, would love this for my other one! My favorites are mine and A Complete Waste of Make-up. :) You do such amazing work! I love them all but I really like "Our Happily Ever Afters" design. I like the "make money business" design! I think one of my favorites is Embracing my cup! They are all great. I like the Naturally Caffeinated Family a lot. I love the black and white on they call her Megan.